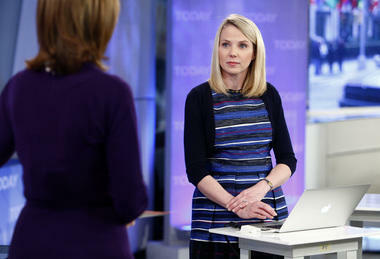 The media has been in love with Marissa Mayer ever since the former Googler took the reins as Yahoo CEO last summer. Her every move has been well-covered — whether it’s a redesign of the office environment or the homepage. But the honeymoon period might be over now, as she sits in the crosshairs of gobsmacked pundits who can’t believe her audacity in rescinding telecommuting privileges at the company. You can imagine the reaction, and it’s not just from Yahoo’s staff. Indeed, advocates of workplace flexibility are raising a stink over this, as if to say, “Shame on you! This is backwards and antiquated. A woman who just had a baby should be more sympathetic to people who need work/life flexibility.” They point out the hypocrisy of tethering workers to the campus, away from their families, when Mayer herself worked out of her California home in October after the birth of her baby and has now installed an adjacent nursery at her office. Business experts also point out this move will likely have ripple effects that may kill morale and send some of the company’s brightest stars fleeing. After all, what does it say about a technology company when it can’t even figure out how to collaborate remotely? 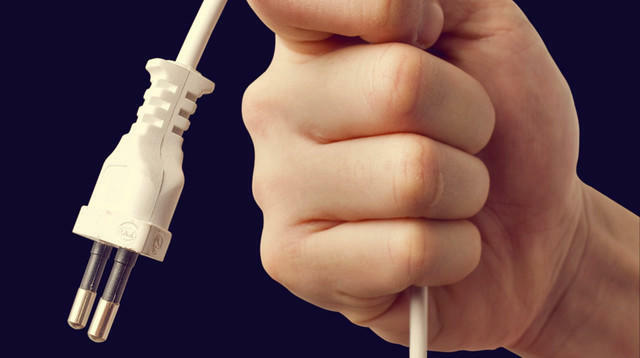 There’s compelling evidence that Mayer may be making a big mistake — particularly at a time when other competitive employers are offering telecommuting benefits. According to the Families and Work Institute, 63 percent of employers allowed people to work offsite last year, up from 34 percent in 2005. As for the quality of the work, research reveals that remote staffers are not less productive than their on-site counterparts — some suggest they’re even more. Stanford University’s new study, which was released roughly the same time as the Yahoo memo, looked at 249 call center workers at a Chinese travel agency who worked from home four days per week for nine months. These employees showed a 13 percent increase in job performance. Call center duties, however, don’t usually include creative responsibilities that require collaboration. When it comes to this type of work, there are other studies that champion the cause of face-to-face interactions. This is likely what’s fueling Mayer’s new policy. Given the critical stage Yahoo is in, it needs as much innovation as it can get. And, it’s important to note, not all the feedback has been negative. Some former Yahooligans applaud the decision, recounting the frustrations of needing input from absent managers and colleagues who willfully exploited the flexibility. Justified or not, the policy is clearly striking a nerve. Plenty of folks are upset, even acting a bit defensive, including those who have no vested interest in the company or Internet technology. (Why did Forbes run a reaction piece from a business contributor specializing in transportation and food?) Maybe it’s because years of campaigning have gone into expanding work flexibility, and now, as the trend is rising, witnessing a high-profile company undercut that progress has been a shocking turn of events. It’s a big gamble, and it’s uncertain whether or not it will pay off for Mayer and Yahoo. Only time will tell. What is certain is that it has reignited the debate about the nature of work in the modern world and whether telecommuting is a help or a hindrance. Do you work from home? Do you believe it helps your productivity or undermines it? Tell us about your experience below in the comments.